Story telling is an age long tradition which is practiced in every culture and race. Our way of life, the norms of our society are all based on stories that we heard and we kept hearing until we assimilated them. But one wonders, why we never think of ourselves as unfolding stories. 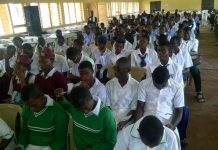 If you are asked to introduce yourself, pitch an idea or teach a class, will you tell a story or do you think telling a story will be “unofficial”. I bet you will present everything in a superfluous write up that sounds intellectual. What if I told you all you needed to do was tell a story. 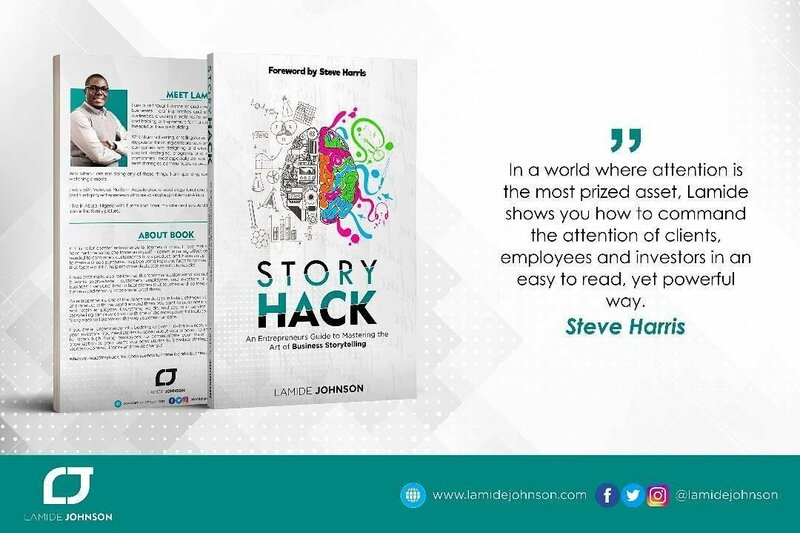 That interview you are nervous about, that you have been cramming professional jargon for, what if I told you all you need is a story. I have often wondered what sell yourself means, that ambiguous word “brand”, what is your Brand? The answer for me is what your story is, “the experience that shaped you” ridiculous, right? 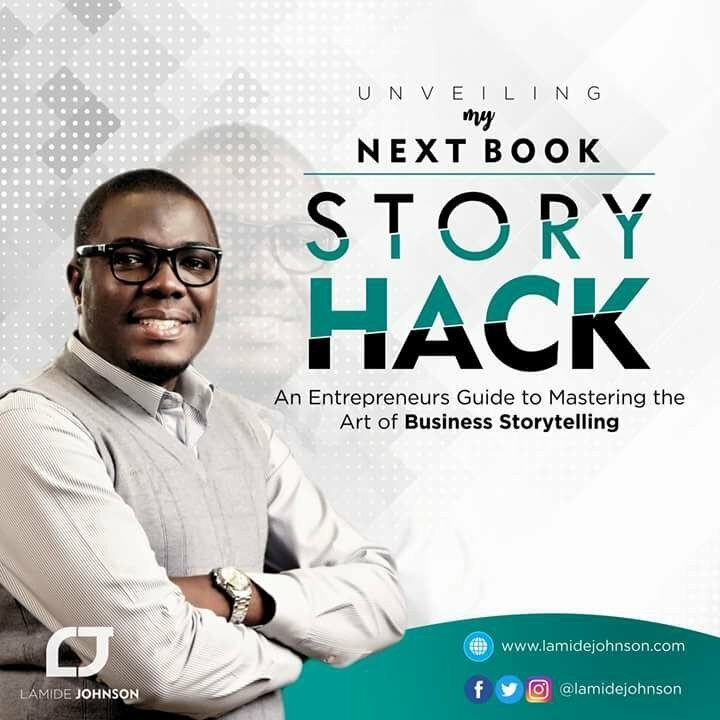 Go into the world of stories with Lamide Johnson as he uses your own way to educate you on storytelling. 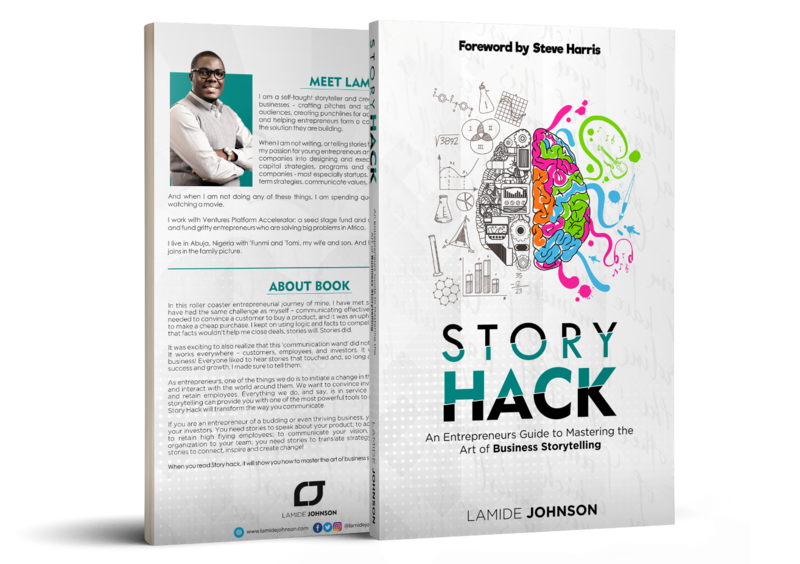 Lamide Johnson’s STORY HACK is much more than a motivational/life book. It is an embodiment of the power of storytelling. It gives you an insight into what story truly is and also teaches you how to wield the power that comes with storytelling. Reading this book enlightened me on the other ways you can connect with individuals. As I read this, I tried remembering all the talks I have listened too, especially the ones that fanned the embers of passion in me and I realised they were the ones I could relate to. The book teaches you to give ideas life by constructing them into a story. It made me understand that the little things that seem insignificant are what make up a whole. This means that event that helped you make that decision is a part of your story. You just have to see it for what it is. We often think we do not have enough experience to tell a tale or inspire others, but it is the little things that matter. I would recommend you read this book, because in our daily lives we sell a products, which is ourselves and what better way to do that than to tell our own story. Remember, “we cannot create a world we cannot imagine and stories are the engines of our imagination – Josh Steams”.